SLEEP WELL: A Home Inspector’s Guide to Managing Risk. Free Book. 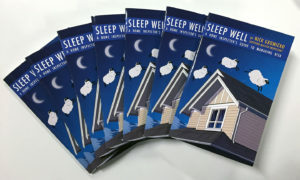 To get a hard copy of this book mailed to you for free, simply order one from Inspector Outlet at: https://www.inspectoroutlet.com/sleep.aspx. No charge for the book. No shipping charges. Can’t wait for the mail? Download the eBook for free right now.